I met That Sara yesterday for a lunch/gift exchange (Happy Chrismakuh!) at Schnippers, where I had a finger-licking-good burger a while ago. In light of my New Year's resolution to eat even healthier (cutting back on sugar, healthier carbs, etc), I asked Sara to pick a place with good salads--and she named Schnippers as a favorite right off the bat! 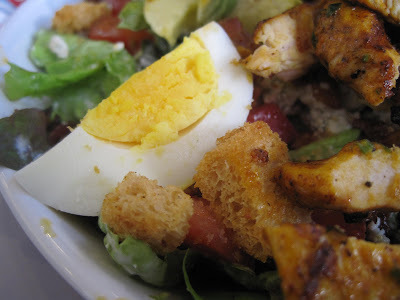 I ordered the Cobb salad and added some grilled southwestern chicken. 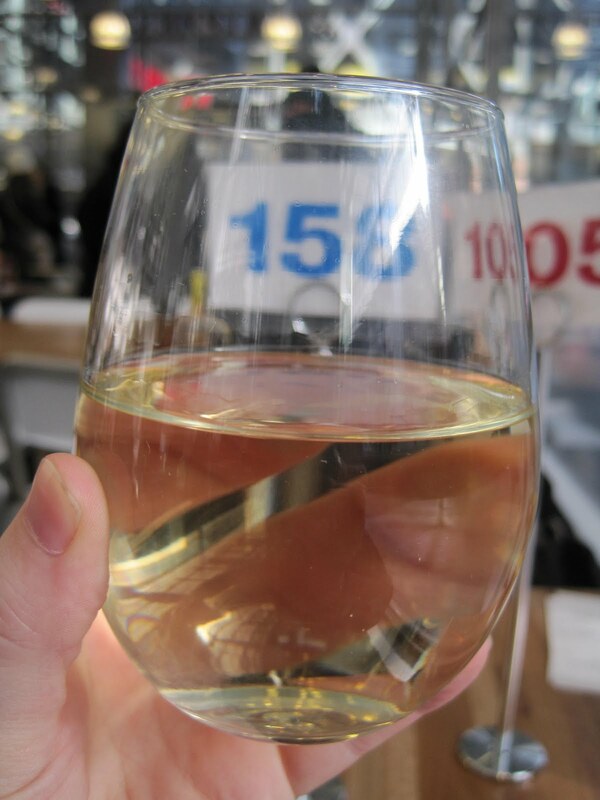 I also had a glass of white wine (pinot grigio). Oh calm down--I was done with work for the day! 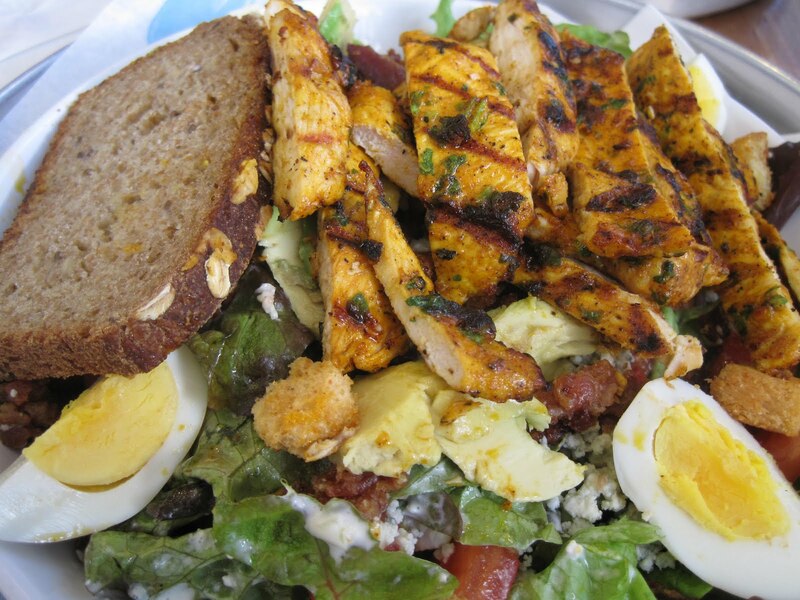 My salad was delicious--the bacon was crunchy-crispy and smokily good, the lettuce was fresh, the chicken was good, and there was so much bleu cheese on this salad I couldn't eat it all (and I LERRRV blue cheese). Sara got the chopped salad with grilled mahi-mahi---and take it from me--the mahi-mahi is mahhhhvelous. 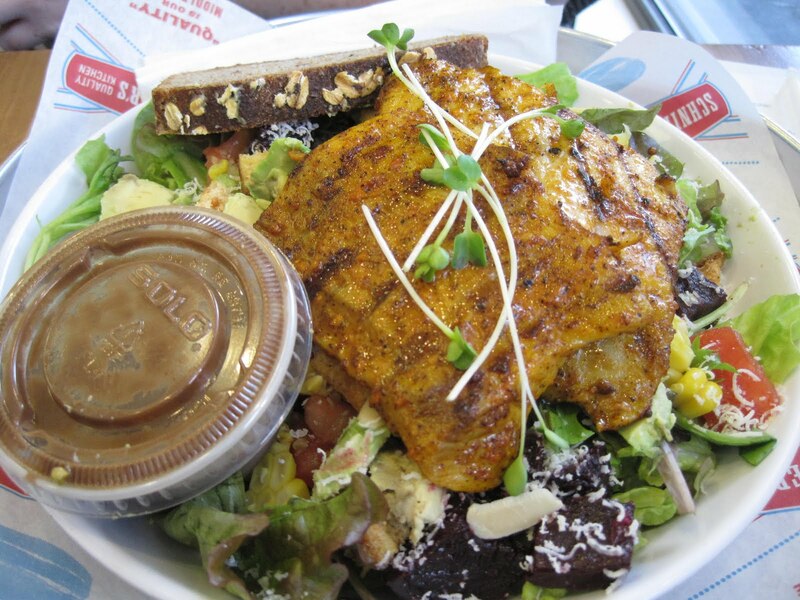 Peppery hot and succulent--I wouldn't normally get fish on a salad, but this was impeccably done. 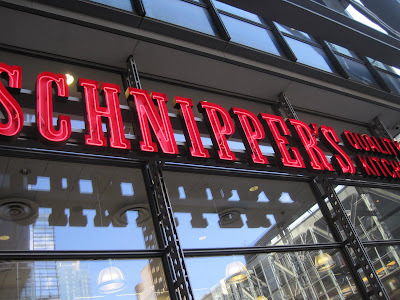 Schnippers is not outrageous, but it's not cheap, either. 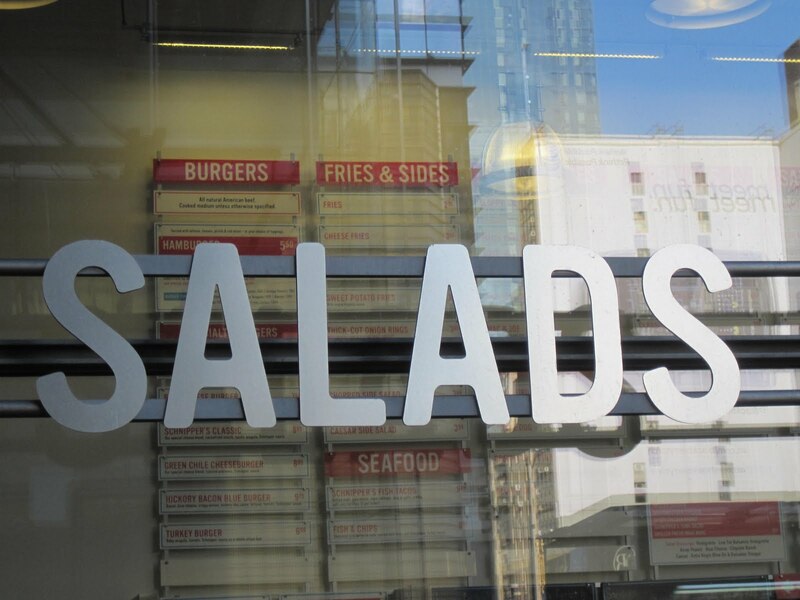 If you're in Times Square, Midtown, etc and want a good, solid, satisfying salad or burger, this is your place. Your recipes look so good! I can't wait to try the Arugula & Hazelnut salad. You Like These! You Really Like These! Guest Post: Polka Dot Cake!